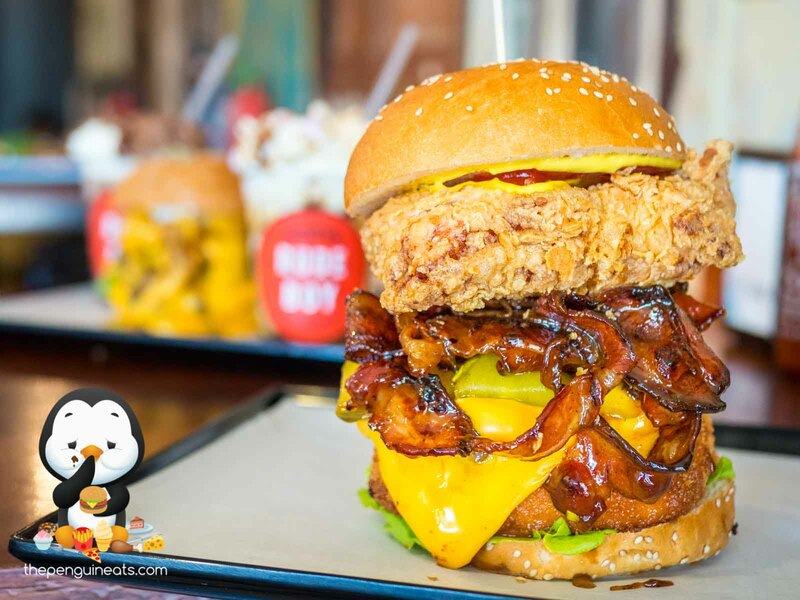 Our modified The Canadian was nothing short of spectacular. 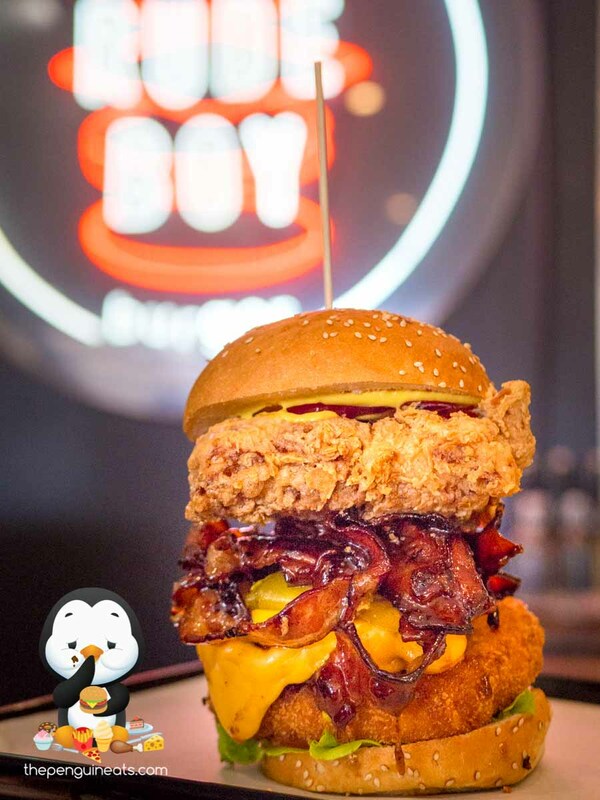 With additional Fried Mozzarella patty as well as a generously sized piece of Fried Chicken, this already big burger was just astounding in size.Within, the highlight must’ve been the Maple Glazed Bacon. With a beautiful sweetness throughout, the bacon was fried to the perfect crisp and offered up a satisfying crunch of sweet and savoury. 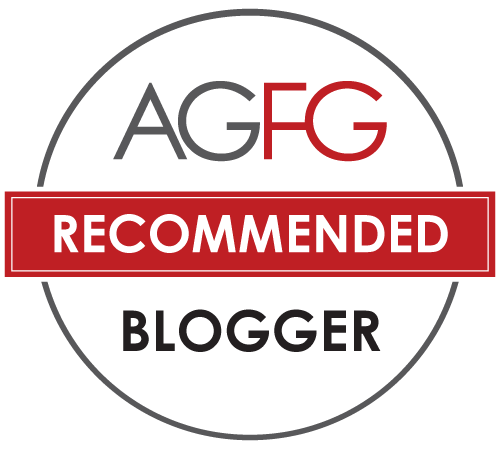 This was well complemented by a juicy and flavoursome beef patty that despite being well-cooked, still retained amazing texture and a soft, bouncy feedback. Another favourite of ours within the burger was undoubtedly the Fried Mozzarella. This simple yet decadent concoction offers up an incredibly cheesy experience that’s accompanied by a crisp batter, with the melted cheese stretching out as you pulled away from each bite. Holding it all together was the soft, fluffy brioche that held its structural integrity rather well, and just buttery enough. 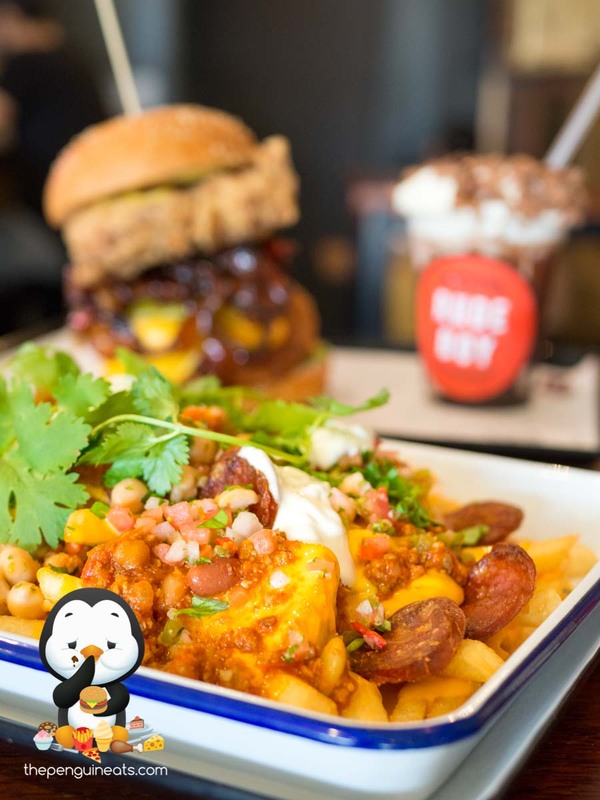 Rude Boy certainly took loaded fries to a whole new level with the Chorizo Chilli Cheese Snack Pack. Topped with plenty of spicy chorizo that offered up plenty of heat, the generous helping of liquid cheese and sour cream certainly helped balance out the spice. Scattered throughout was a deliciously sweet salsa mixed with various beans, as well as aromatic coriander. All served on a gigantic bed of crispy and well seasoned fried potatoes, we certainly had trouble controlling ourselves. 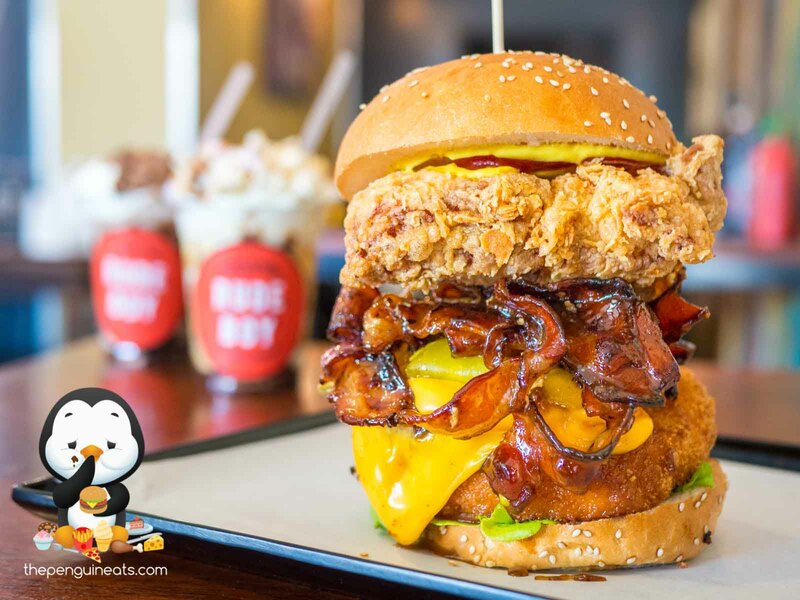 What better way to complete burgers and fries than a sweet thick shake, and the Tim Tam Slam and Snickerbocker Glory shakes certainly did not disappoint one bit. The Tim Tam Slam was generously loaded with chocolates and Tim tams within, providing a rather rich and sweet chocolatey experience. The Snickerbocker though definitely impressed. The balance of sweet and savoury was perfect, with plenty of peanut butter to go round and a lovely caramel providing sweetness. As co-owner Karen so simply puts it, it’s like snickers in a cup! 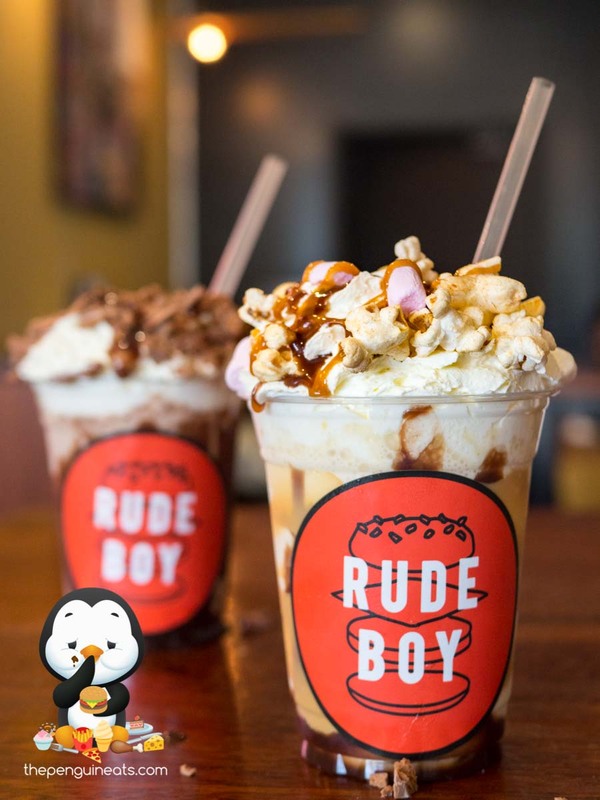 Situated in the suburban parts of Brunswick, Rude Boy certainly dished out some banging burgers that’s bound to satisfy the locals living in its immediate surrounds. 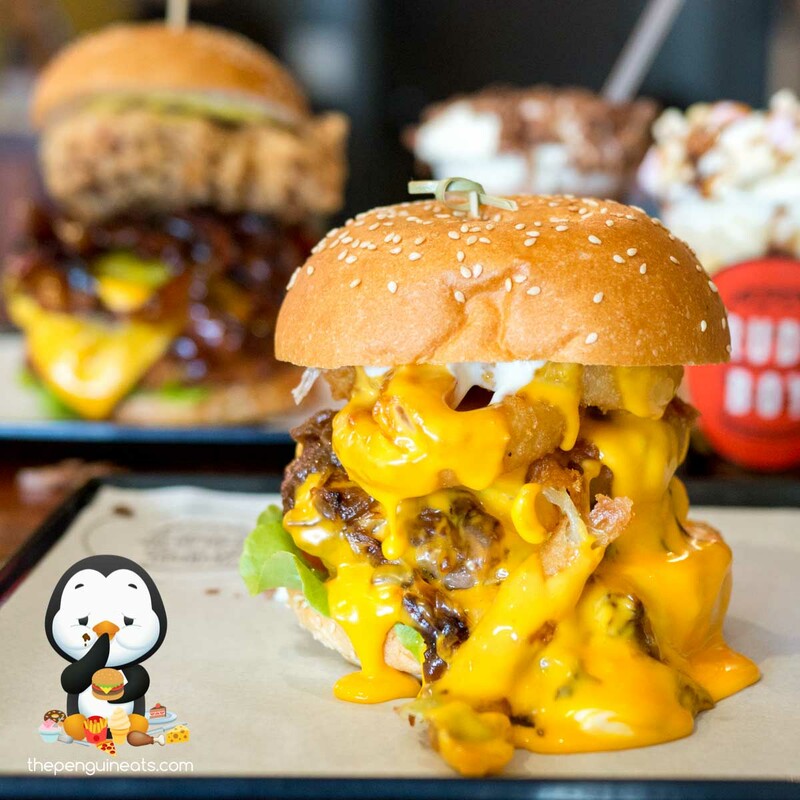 Their super-customisable and robust burger menu allows for all sort of mix and match, adding any kind of ingredients to an already diverse range of burgers, and hence allowing you to take things to a whole new level if desired, like our Canadian. 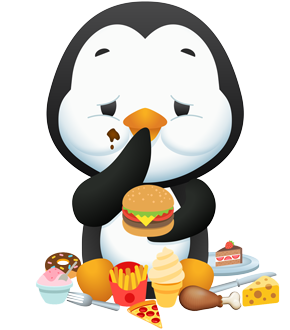 Coupled with generously loaded fries and indulgent sweet shakes, they certainly have found the winning combination! You can count on it! We absolutely loved that Maple Bacon and Fried Mozzarella! Penguinetas would like to thank owners Frank and Karen for their generous hospitality and for inviting us to Rude Boy.